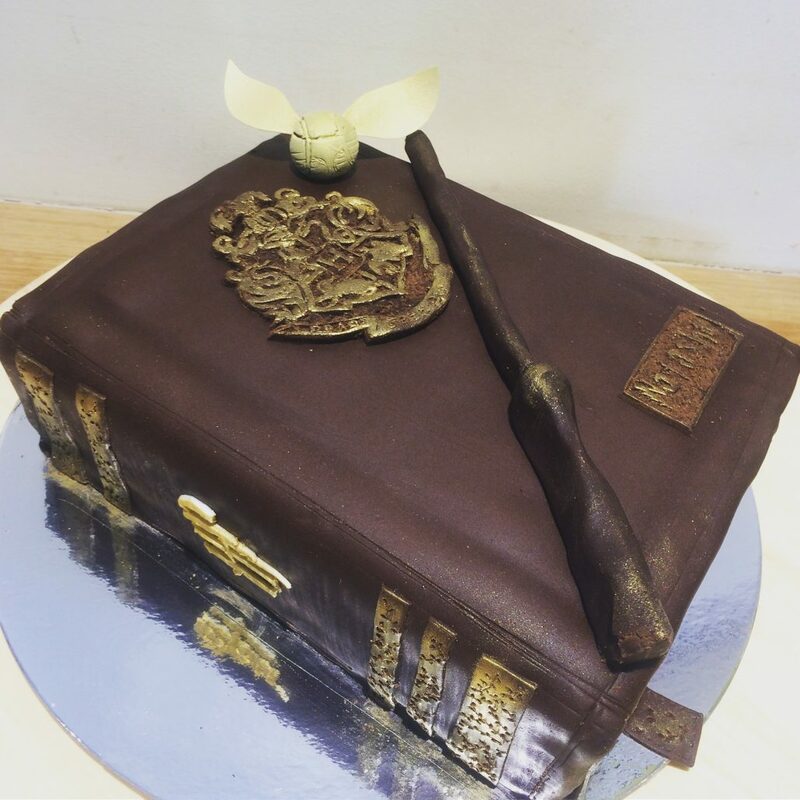 If you still are a Harry Potter fan, you might like this cake. Let’s talk about the flavor first, so it’s a vegan chocolate pound cake with vegan Hershey’s chocolate buttercream icing, and some of vanilla icing for the book part. After the cake is baked and set, it’s time to put the book cover on. 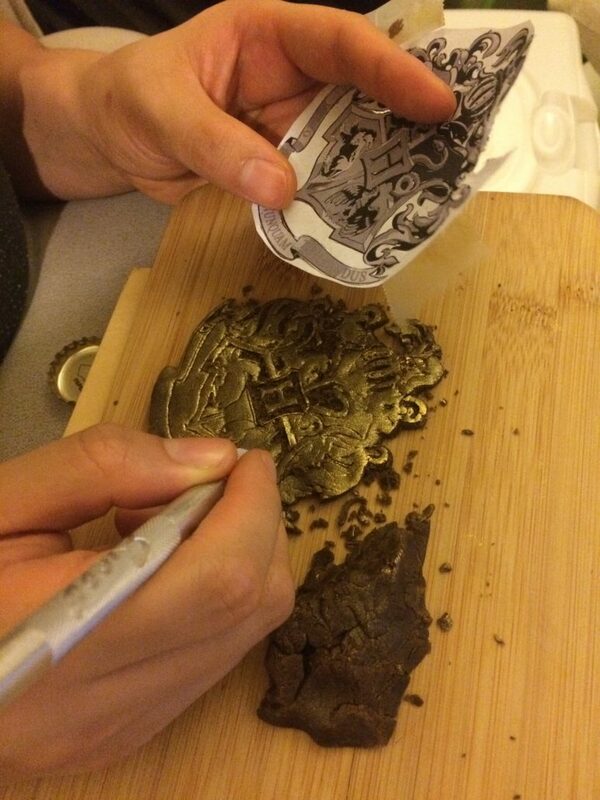 Before baking the cake few days ago, I started crafting he crest, as it’s the most complex part in the cake and it needs to be pretty much dried to be able to place on the book cover. 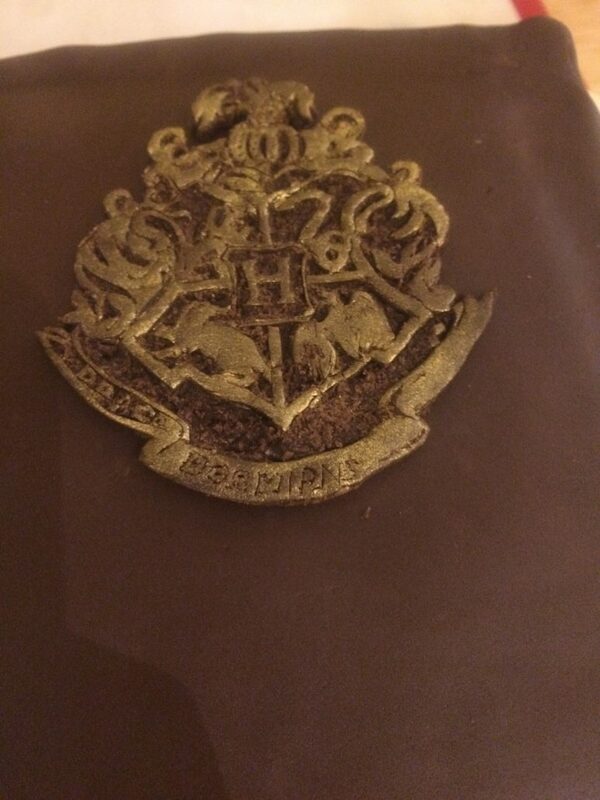 I print out the crest and then cut out the outline, put it on the piece of brown fondant, starting to carve it. The whole process feels like screen printing, but on a cake, it’s a long process, to be detailed and carefully carved out most of the shapes and scratching out the pattern. This fondant crest took about over 1 hour, which was better than I thought, so I left it to dry at least 2days before baking the cake. 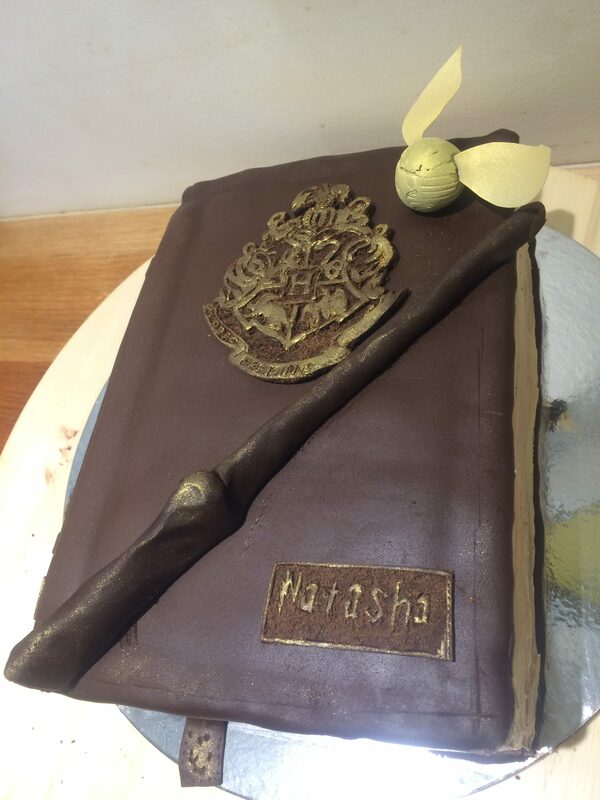 Also the wand I made it few days before the cake just to let it harden, or it will break during assemble. After that it was all easy parts, just time consuming work, such as making the snitch ball and wings, I’ve tried the wings with fondant and it breaks so I’ve cut out wings from a wafer paper, and it works perfectly! To make it more realistic, I’ve added a few stitch lines on the side of the book and brushed on golden dust to add high lights. After assembling everything together, we now have a Vegan Harry Potter Book Cake! Vegan Cake Collection NEW!Kids Decoration Workshops are HERE!! Inquire Today!